I write to alert you to a possible violation of the Foreign Agents Registration Act (FARA) in which you were apparently the target of a foreign influence operation. 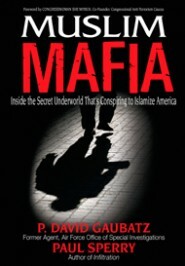 It is our assessment that the Council on American-Islamic Relations (CAIR) was operating as an unregistered foreign agent when they called upon the Emerald Coast Tea Party Patriots to drop you as the keynote speaker at their “U.S. Constitution Freedom Rally” on August 21. In a July 16 press release CAIR called you an “extremist anti-Islam speaker” and head of the “anti-Islam hate group ACT! for America.” “Now is the time for Tea Party leaders to clearly demonstrate that their movement will not allow itself to be associated with bigotry of any kind, including Islamophobia,” said CAIR National Communications Director Ibrahim Hooper. We believe that this specific act to attempt to silence a prominent author, speaker and founder of a large grassroots citizens non-profit group meets the definition of a political influence operation under the terms of the Foreign Agents Registration Act (FARA). FARA is a disclosure statute that requires entities acting in the United States as agents of foreign principals in a political capacity to register and to make periodic public disclosure of their relationship. Specifically, FARA § 611 (o) states that foreign agents who engage in any activity to “influence any agency or official of the Government of the United States or any section of the public within the United States” must register as a foreign agent and report such activity to the Department of Justice. At the CAIRObservatory.org website (http://www.cairobservatory.org), we provide documentation showing CAIR has met and coordinated with representatives of foreign principals on more than 30 occasions and engaged in over 60 political influence operations on their behalf. 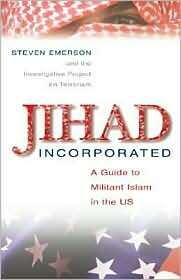 CAIR has failed to report these influence operations. In addition, FARA § 612 (a) (5) requires that a foreign agent report “the nature and amount of contributions, income, money, or thing of value” that they receive from foreign principals. At the CAIRObservatory.org website we provide documentation showing that CAIR has received more than $6.6 million in cash and loans and more than $50 million in pledges from foreign principals based in Saudi Arabia, Iran, the United Arab Emirates and Kuwait. CAIR has failed to report these payments. FARA § 618 (a) also states that any foreign agent who willfully violates any provision of the law may be “punished by a fine of not more than $10,000 or by imprisonment for not more than five years, or both.” Complete information on these and other aspects of the FARA code can be found at the Department of Justice website (http://www.justice.gov/criminal/fara/). 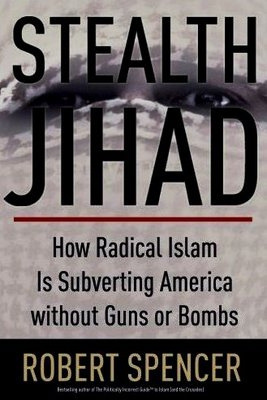 We have concluded on the basis of this evidence that CAIR’s influence operations appear to be designed to intimidate all Americans, including Muslim Americans, in ways that endanger the First Amendment and national security. 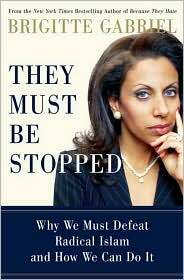 CAIR attempts to silence anyone opposed to the Muslim Brotherhood’s insinuation of Shariah – the totalitarian doctrine of authoritative Islamic law – into the United States, with a relentless program of accusations of bias, racism and “Islamophobia.” We urge you to join us in opposing these political influence operations funded by foreign principals. The interests of the American people can be served only if CAIR follows the law, registers as a foreign agent with the FARA office, and reports all political and public propaganda initiatives. We ask you to request that the FARA Unit investigate CAIR’s attempted influence operation to hinder your right to speak freely at any forum you may choose. The FARA Registration Unit of the Counterespionage Section (CES) is located in the National Security Division (NSD) of the Department of Justice (1400 New York Avenue, N.W., Suite 100, Washington, D.C. 20005).